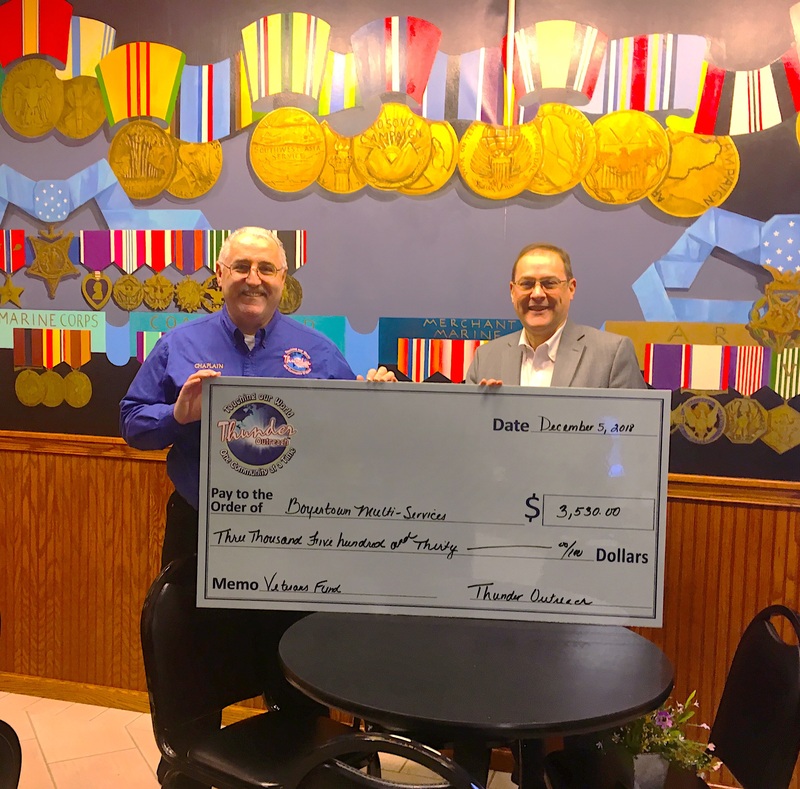 Chaplain Mark Malizzi, Director of Thunder Outreach Ministries (Faith Based Community Charity programs) presented Steven K. McEwan – Executive Director of Boyertown Area Multi Service programs, a check for $3530.00 towards a special fund set up to help local veterans with food and humanitarian needs in our region. 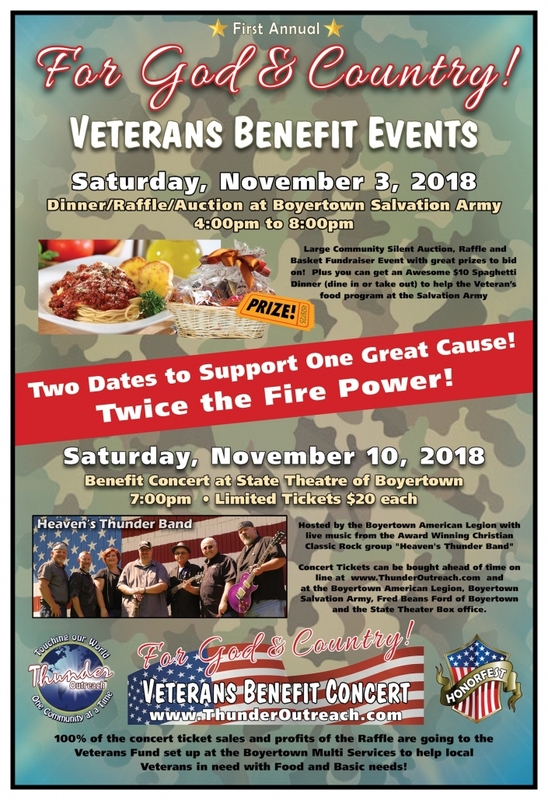 This money was raised with the help of local charities and businesses working together including American Legion Post 471, Thunder Outreach, Boyertown Salvation Army, State Theatre of Boyertown and the Boyertown Area Multi-Service working together with many local businesses in November to host a Veterans Basket raffle and a live Veterans Concert with High Energy Faith and Family music from Heaven’s Thunder Band. This is just one of the many events that Thunder Outreach has hosted and helped organize over the years in the region to help local families and charities in need.